Couchgrass, also known as twitch grass and scutch, is a perennial grass distributed throughout Europe, Australia, northern Asia and the Americas. This fast-spreading plant is generally considered a nuisance weed by most people. Dogs, however, seek out the herb to overturn and eat the roots and ease gastrointestinal distress, which is why coughgrass is also called dog grass. Couchgrass is a member of the Poaceae family. It has creeping rhizomes which enable it to grow rapidly across grassland. It has flat, hairy leaves with upright flower spikes. The stems ('culms') grow to 40–150 cm tall; the leaves are linear, 15–40 cm long and 3–10 mm broad at the base of the plant, with leaves higher on the stems 2–8.5 mm broad. The flower spike is 10–30 cm long, with spikelets 1–2 cm long, 5–7 mm broad and 3 mm thick with three to eight florets. 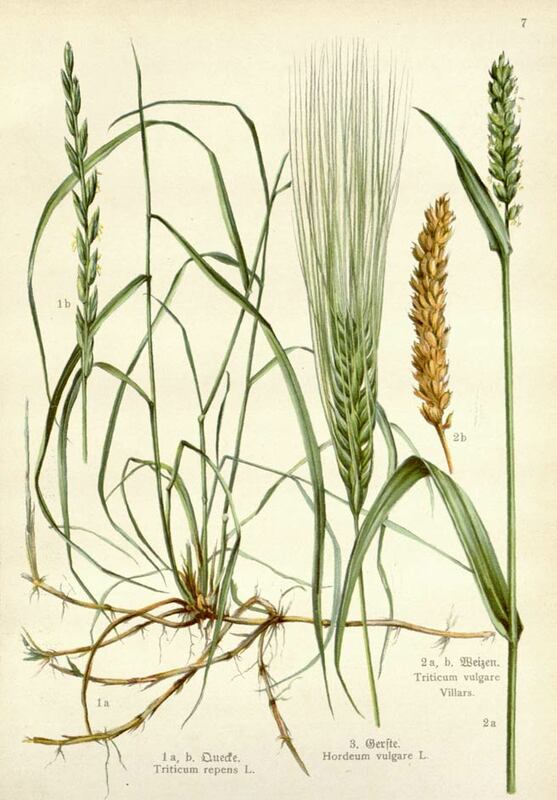 The glumes are 7–12 mm long, usually without an awn or with only a short one. It flowers at the end of June through to August in the northern hemisphere. 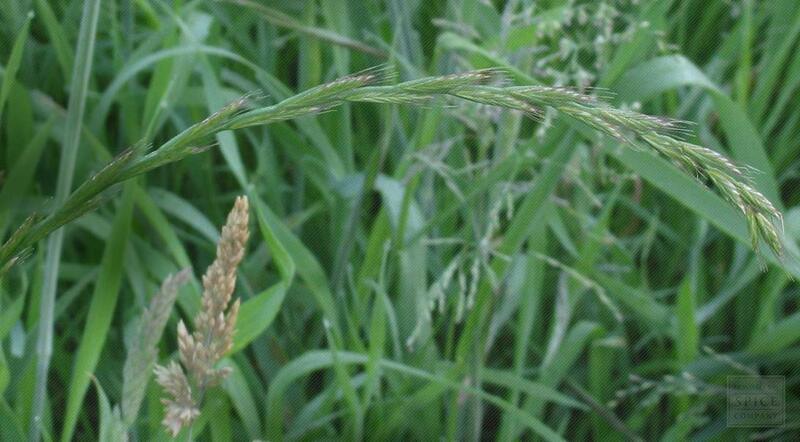 Couchgrass is native to most of Europe, Asia, the Arctic biome, and northwest Africa. It has been brought into other mild northern climates for forage or erosion control. Couchgrass is a common weed of gardens, fields, hedgerows and meadows and has become naturalized throughout much of the world, and is often listed as an invasive weed. It can grow in full shade (deep woodland) semi-shade (light woodland) or no shade. Couchgrass can grow in dry, moist or wet soil. This is a rapidly spreading, persistent weed that spreads most readily by underground rhizome. Any small piece of rhizome will typically develop into a full plant, it can often be invasive and hard to control or eradicate. Harvest the rhizomes throughout the growing season if the plant is well established, or in the Autumn if recently planted in Spring. Dry the rhizomes thoroughly and cut into smaller pieces. Store the dried cut pieces in an airtight container in a cool, dry place.